The two beneficials that everyone, at least every gardener, should release as the foliage emerges this spring are trichogramma wasps and beneficial nematodes. The microscopic wasps will control caterpillars and the nematodes will control a host of pest insects that have at least one of their life cycles in the ground. Another thing I recommend to all gardeners is to grind some bay leaves and mix some in around new transplants. 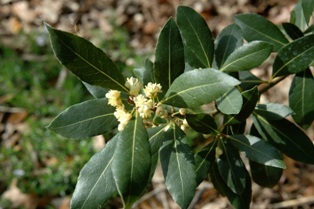 If you don’t have any bay plants (Laurus nobilis), plant some right away. It's a much hardier plant than others would have you believe - especially under an organic program. Trichogramma wasps are released as a preventative for the control of canker worms, greenworms, loopers, armyworms, pecan casebearers, tent caterpillars, webworms and other vegetarian worms. They must be put out before the pests hatch and start eating. They can be purchased at organic garden centers, feed stores and ordered by mail. The 1” cards contain about 3000 moth eggs. Larger strips have more wasps. Simply pin the cards or strips on tree trunks or on fences or use twist ties. 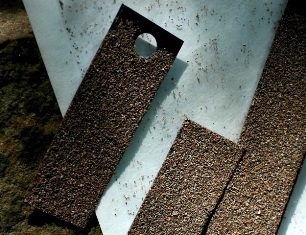 The almost microscopic wasps emerge from the sandpaper looking moth eggs and fly off to parasitize and destroy other pest eggs. If the wasps are dead or have been eaten by fire ants, they won’t work. 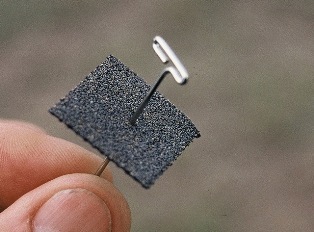 Vaseline on the nail or pin used to mount the cards or strips will prevent any existing fire ants from getting to the eggs. They will eat them like jelly beans if present and have access. Dry molasses usually runs fire ants off the property. Use it or other organic techniques to control the ants. Nematodes control insect pests by entering through the mouth or body openings; once inside the host, they feed, reproduce and release other organisms until the pest is dead. 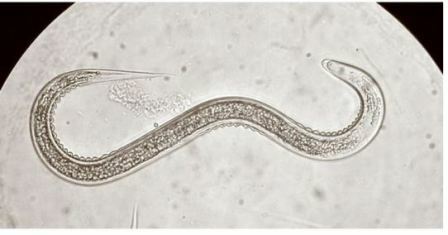 New nematodes emerge in search of new victims. 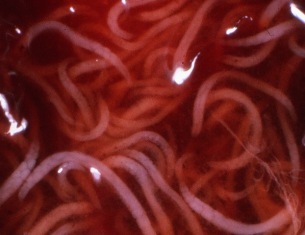 The most commonly available beneficial nematodes include Steinernema carpocapsae and Hederohabditis spp. An early application prior to heavy pest infestations, followed by monthly applications, is the ideal schedule when pest infestations are present. Once balance is reached, no more releases are necessary. The best source for trichogramma wasps and nematodes is ARBICO Organics. P.S. A membership to the Organic Club of America is a great gift!